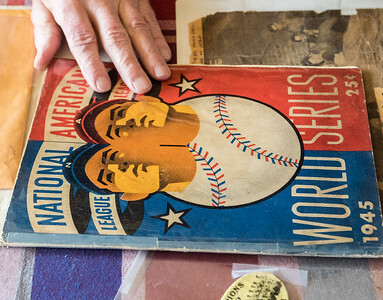 Sarah Nader- snader@shawmedia.com Robert Neuzil, 85, of Lake in the Hills looks the World Series program while at his home Wednesday, April 13, 2016. 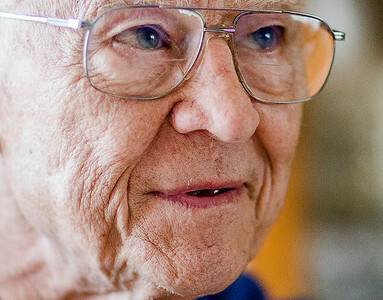 Neuzil is a lifelong Cubs fan and attended a 1945 World Series game between the Chicago Cubs and Detroit Tigers, the last time the Cubs made the World Series. 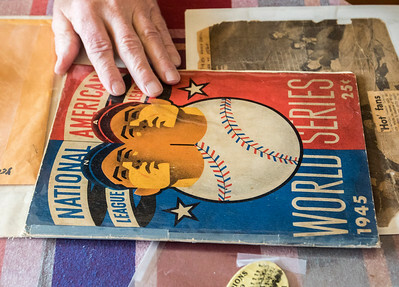 Sarah Nader- snader@shawmedia.com Robert Neuzil, 85, of Lake in the Hills looks at Chicago Cubs memorabilia while at his home Wednesday, April 13, 2016. 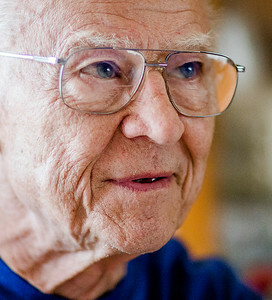 Neuzil is a lifelong Cubs fan and attended a 1945 World Series game between the Chicago Cubs and Detroit Tigers, the last time the Cubs made the World Series. 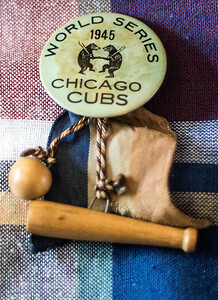 Sarah Nader- snader@shawmedia.com A pin from a 1945 World Series game between the Chicago Cubs and Detroit Tigers. 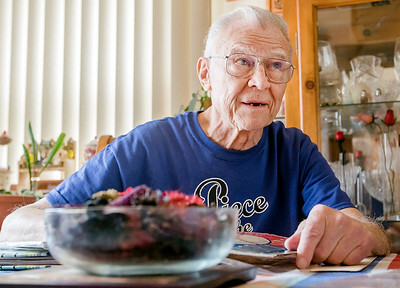 Robert Neuzil, 85, of Lake in the Hills looks at Chicago Cubs memorabilia while at his home Wednesday, April 13, 2016. 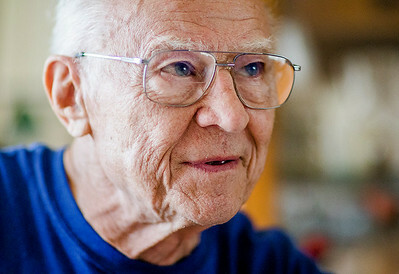 Neuzil is a lifelong Cubs fan and attended a 1945 World Series game between the Chicago Cubs and Detroit Tigers, the last time the Cubs made the World Series.